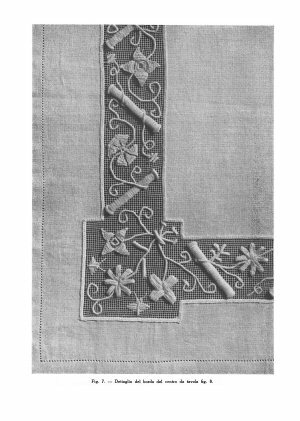 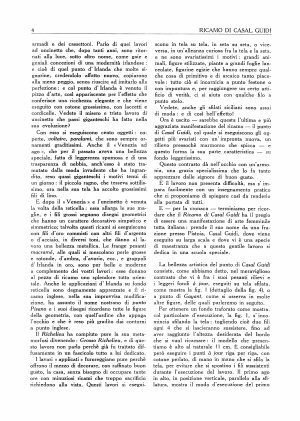 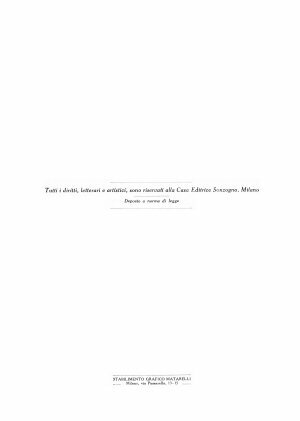 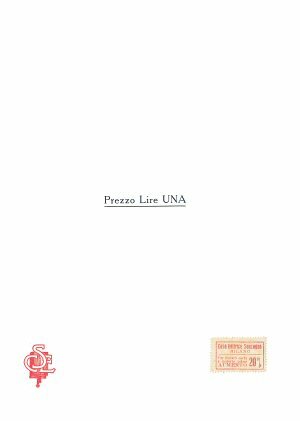 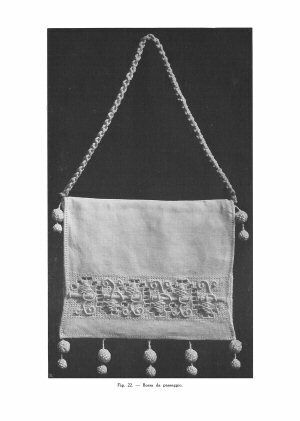 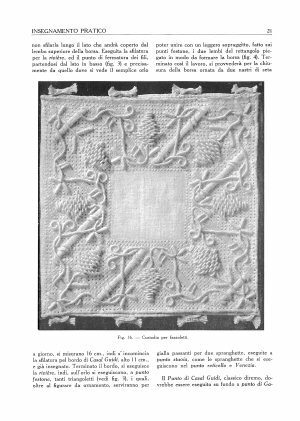 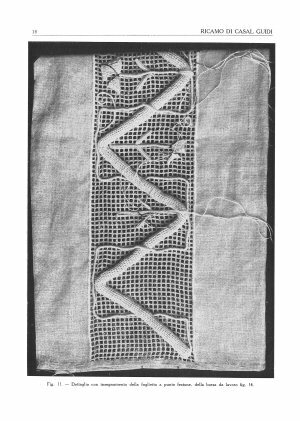 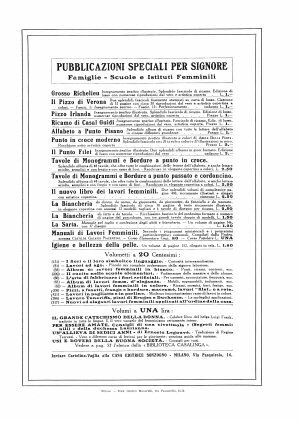 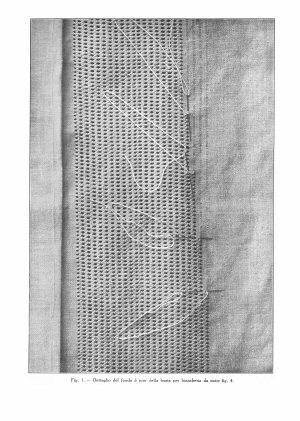 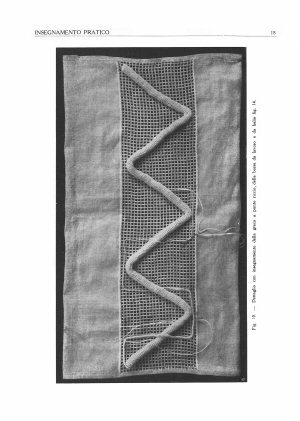 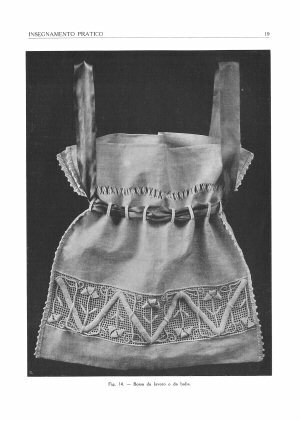 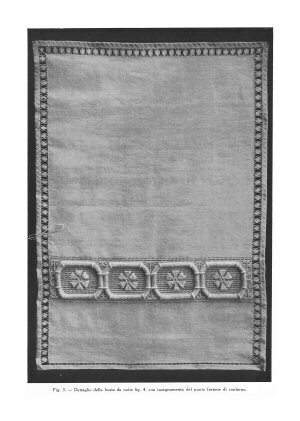 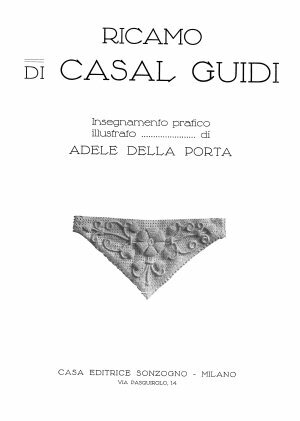 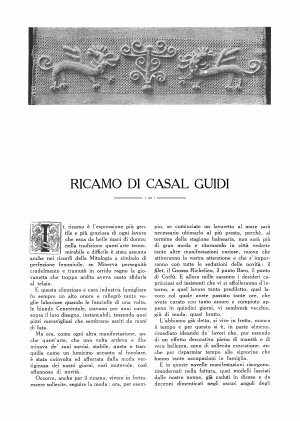 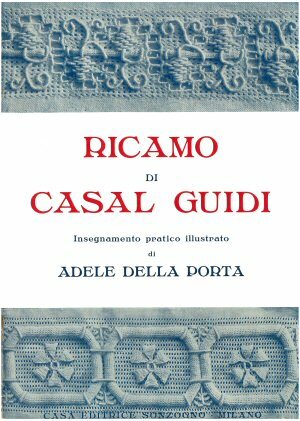 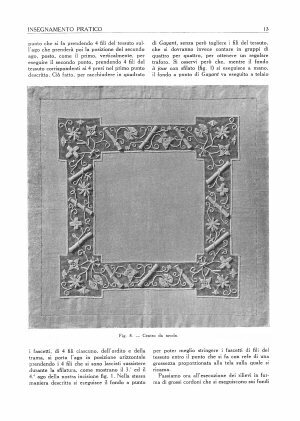 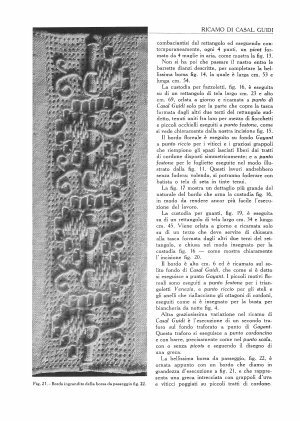 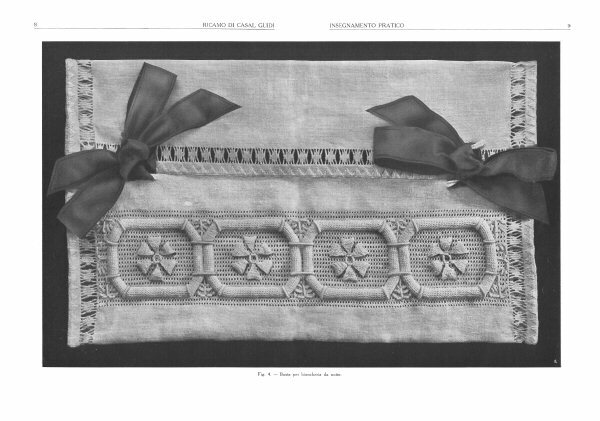 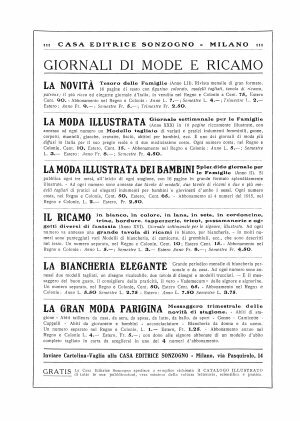 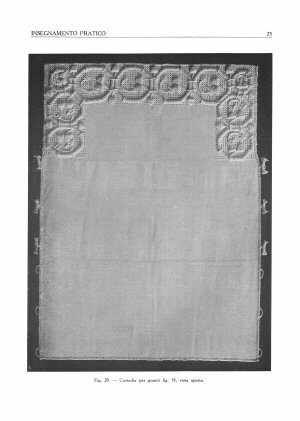 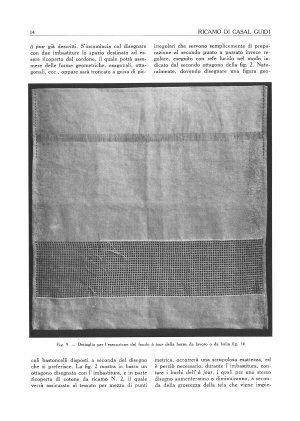 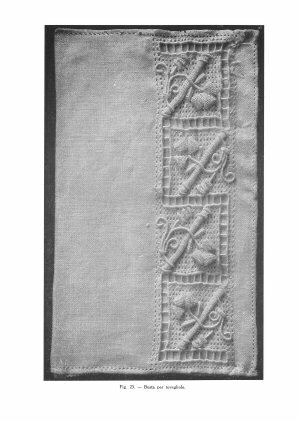 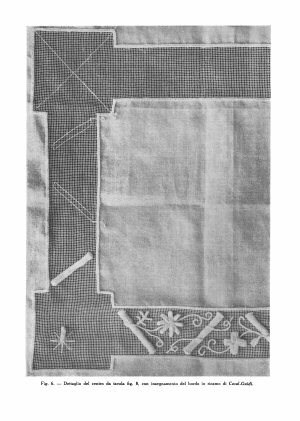 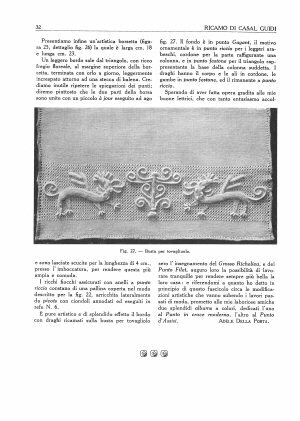 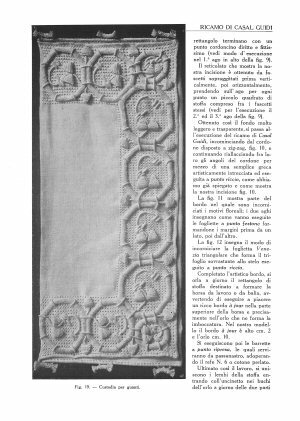 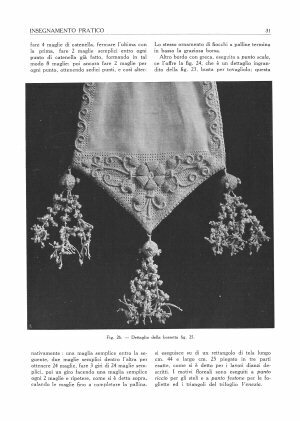 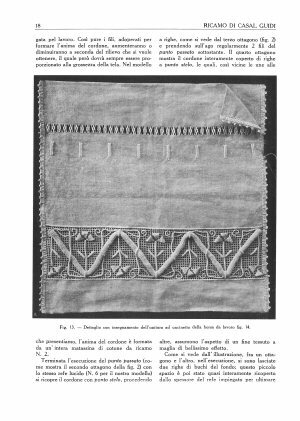 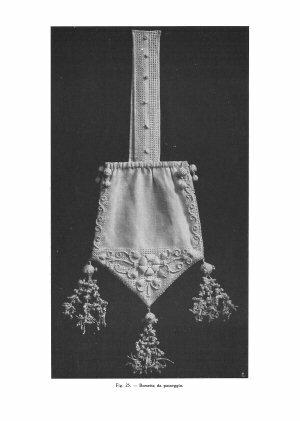 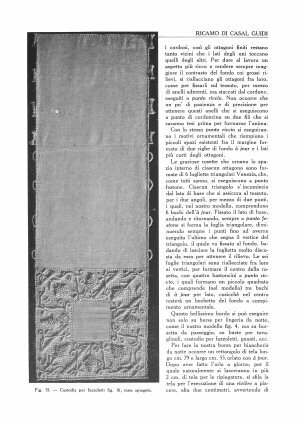 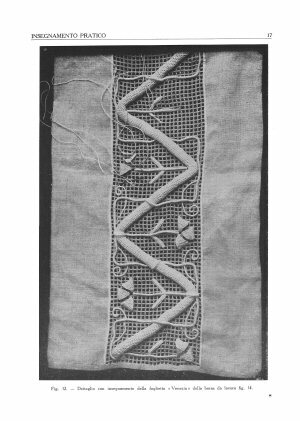 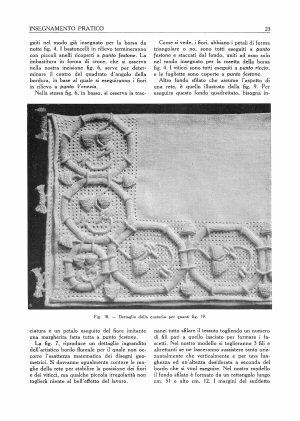 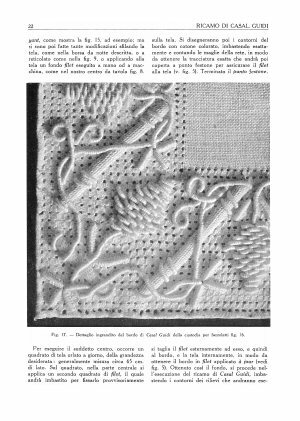 Italian language manual of Casal Guidi embroidery, a highly embossed 3D figurative whitework embroidery worked on a withdrawn thread mesh ground, or an applique/insertion net. 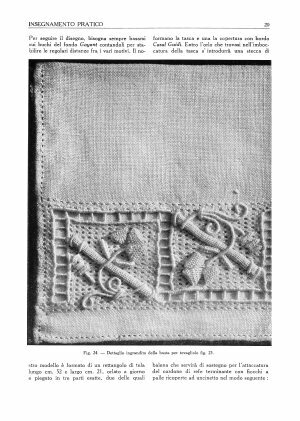 Overembroidery includes many detached work techiques and heavily padded stitching. 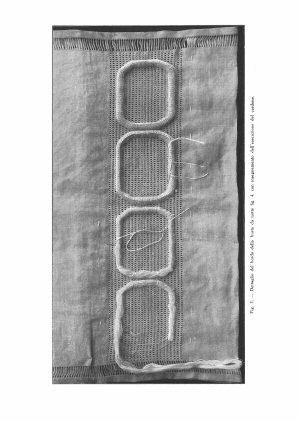 Additional withdrawn thread embroidery, picots, and complex passmenterie tassels suppplement. 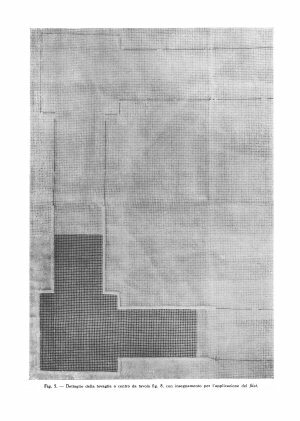 Very clear photographs.